Charles Kwong’s creative output ranges from orchestral and choral music to works written for all types of chamber ensembles and solo performers. He has been commissioned in recent years by the soundSCAPE Festival, Hong Kong Sinfonietta, Hong Kong New Music Ensemble and Hong Kong Arts Festival, among others. His music has been performed by professional orchestras and ensembles including Ensemble InterContemporain, Orchestre Philharmonique de Radio France, London Chamber Orchestra, Eastman Broadband, Kreutzer String Quartet, Romer String Quartet and Chimera Ensemble. His At the Very End of Old Dreams was premiered by Hong Kong Sinfonietta this July in Europe at Festival International de Piano La Roque d’Anthéron, Gezeitenkonzerte in Ostfriesland and Marvão International Music Festival. Kwong’s music has been featured in such occasions as York Spring Music Festival, Ciclo de Música Contemporánea de Oviedo (Festival de Verano), Festival Internacional de Música de Ibiza, Yogyakarta Contemporary Music Festival, World Saxophone Congress, the Royal Musical Association Research Conference, Hong Kong Arts Festival, New Vision Arts Festival and Freespace Fest. In 2016, his work Lachrymae was selected by Matthias Pintscher and Ensemble InterContemporain as part of the programme for the ensemble’s Hong Kong début. Born and raised in Hong Kong, Kwong studied music at The Chinese University of Hong Kong and King’s College London, with multiple scholarships from the respective institutes and the Composers and Authors Society Hong Kong. He earned his doctorate, focusing in compositions, in 2013 from The University of York under the supervision of Thomas Simaku as an R C Lee Scholar with full sponsorship from the Drs Richard Charles and Esther Yewpick Lee Charitable Foundation. In 2016 and 2017, he studied with Toshio Hosokawa in Hong Kong New Music Ensemble’s The Modern Academy and IRCAM’s ManiFeste Academy. Currently living in Hong Kong, Kwong has also been actively promoting contemporary music. 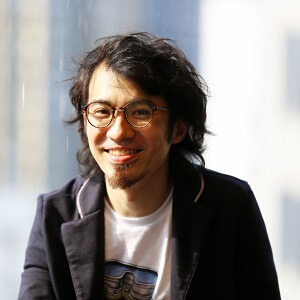 He was the Research Coordinator of Hong Kong New Music Ensemble in 2014-2015, and now conducts contemporary music research for Hong Kong Sinfonietta.